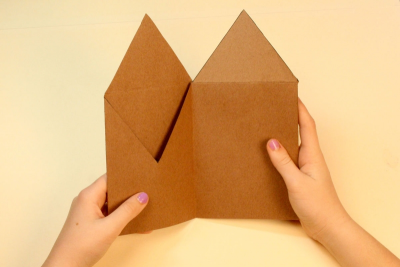 Students use construction paper to create a special, house-shaped book. Then they use Model Magic to create hanging ornaments to insert in the pockets of the book. They use the book to write about a family holiday tradition. 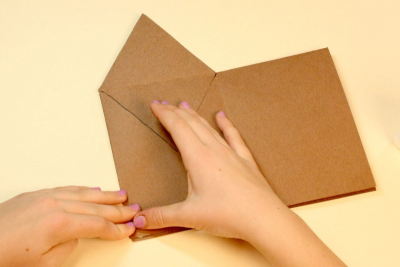 Fold the paper into 8 boxes. - Fold it in half twice, widthwise (short end to short end). 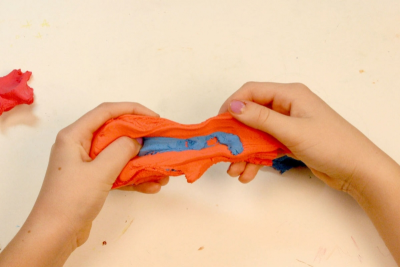 - Open it up and fold it in half lengthwise (long end to long end). Cut a piece of copy paper 1/2 the length and the width of one of the boxes – 7.6 cm x 11.4 cm (3” x 4.5”). 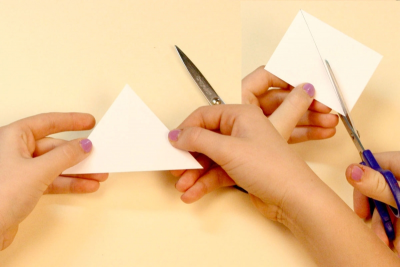 Fold the small paper in half widthwise (short end to short end). Cut along the line from corner to corner. Use the large triangle to trace the outline of the roof of your house. 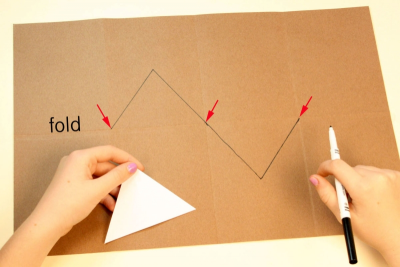 Place the base of the triangle on the horizontal fold of the second box from the left on the TOP half of the paper. Trace the 2 short sides. Slide the triangle along the horizontal line to the box on the right. 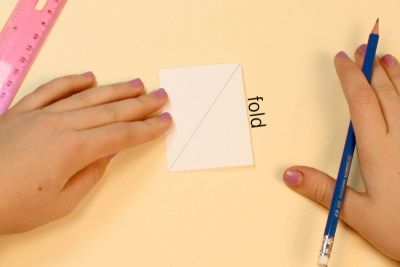 Flip the triangle so the base is on the horizontal fold of the third box from the left on the BOTTOM half of the paper. There should be a zigzag line in the middle of the paper. 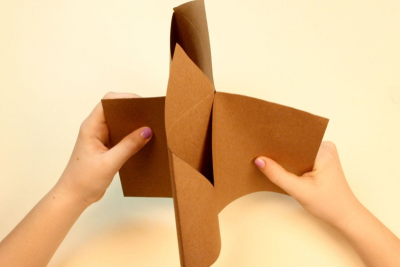 Fold the paper in half widthwise (short end to short end). 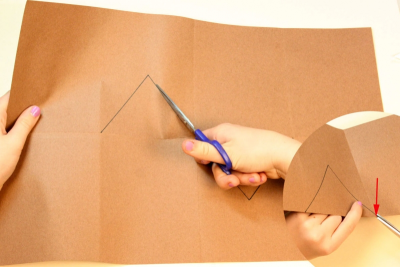 Make a small cut in the corner of the paper at the end of the line so you can insert your scissors. Open up the paper and carefully insert your scissors. Cut along the zigzag line. Fold the paper in half lengthwise (long end to long end). 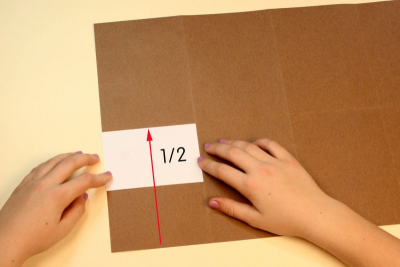 Hold the ends of the paper and push towards the centre until you see a box formed. Keep pushing until all the pages line up. 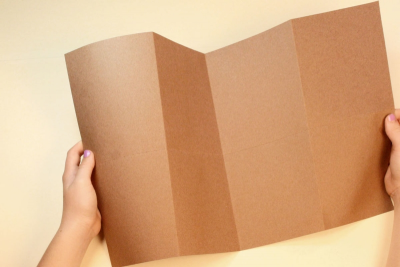 Flatten the paper and fold it in half to make the book. 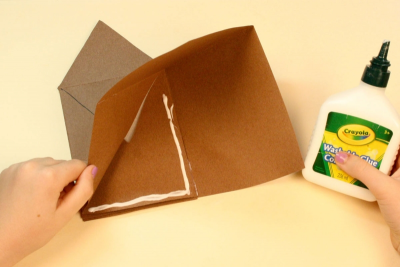 Place glue along the inside edges of the page with the cutout triangle. Press the paper together firmly. This will make the page into an envelope. Repeat with the other cutout triangle page. Glue writing paper on the book pages and write your story on them. Mix red, yellow and a small amount of blue Model Magic together to make brown. 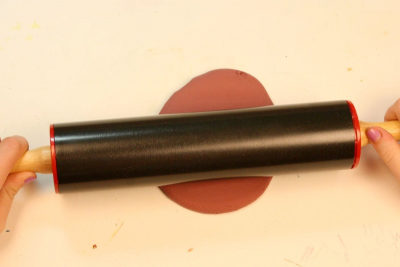 Use a rolling pin, the barrel of a marker, or a dowel to roll the Model Magic out smooth and flat. 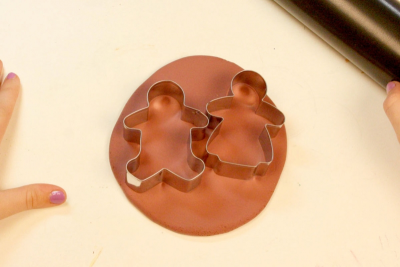 Use cookie cutters to cut out 2 shapes. 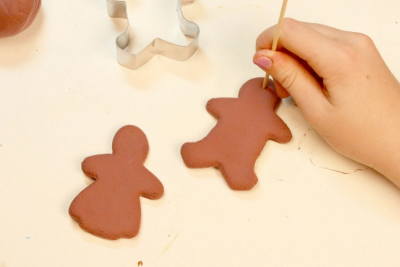 Use a shish kebab skewer to make small holes at the top of the shapes. Allow them to dry for 2 days. Insert a ribbon or string into the hole and tie it in a loop. Place a Model Magic hanging ornament in each pouch. 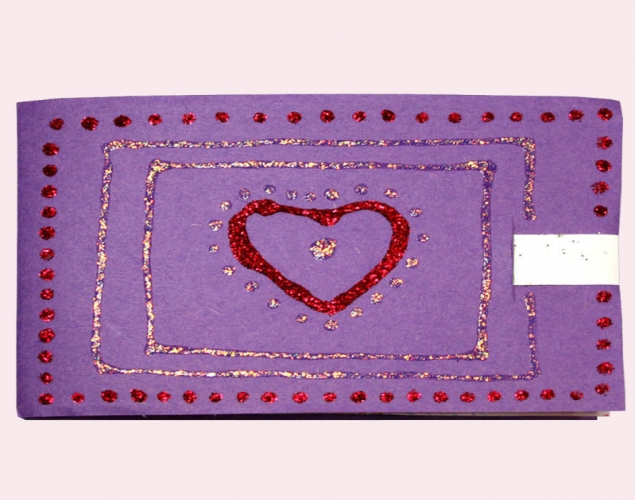 Use their handmade books to write a variety of stories about things that are important to them. Gather the materials required for this lesson. Create a sample book without decoration. - Read a story about family traditions and share some experiences children have had. - Make a chart list of characterisitics of traditions. For example, we learn traditions by participating in them; traditions involve sharing time and experiences with others; there may be special symbols associated with different traditions; traditions involve doing things in a special way; some traditions are passed down from one generation to another; some traditions involve the giving of gifts. Discuss gift giving in general. Why and when do we give gifts? How do we choose the gifts we give? What are some of their favourite gifts? 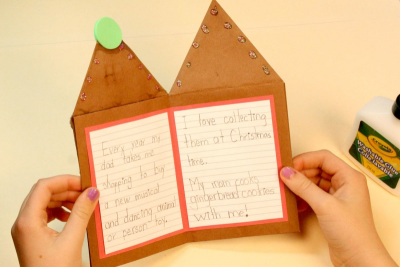 Have students write a story about their favourite family holiday tradition. Review the ideas discussed earlier about traditions and gifts. Have some students share their stories about traditions and discuss key elements of the story. Show students the house shaped book and talk about how it might be decorated inside and out to match the story. In this example it is a gingerbread house, what else could it be? Discuss what kind of ornament would best complement the story. 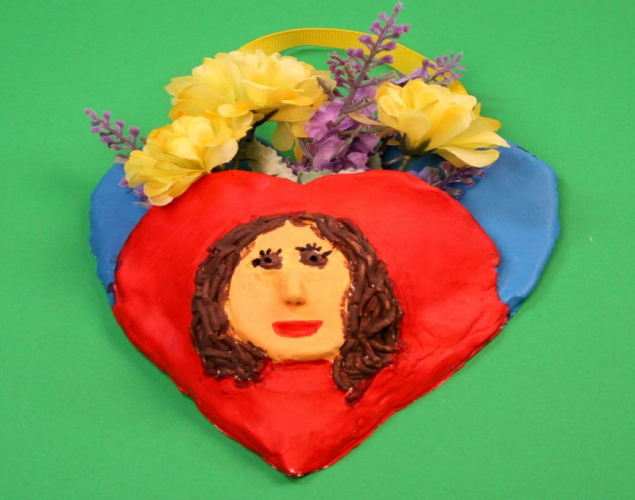 In this example it is gingerbread cookies, what else could it be? 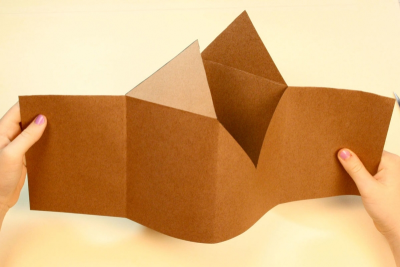 Create a house-shaped book from a single sheet of paper. Create 2 small Model Magic ornaments to complement a story you have written. Use contrast to create areas of emphasis. Encourage students to think of how they can use contrast to create areas of emphasis. Once all the books are complete ask students to share them in partners or small groups. - Talk about how the designs match the story. 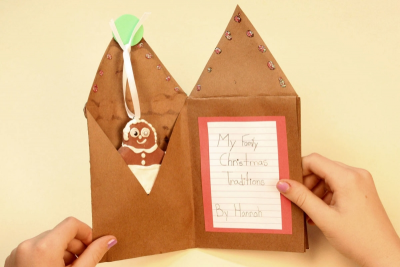 - Tell what was satisfying about making the book and ornament and explain why. Ask some students to share their ideas with the whole class. Display the house-shaped books as if they are on a street. Provide time for students to read each others' books.